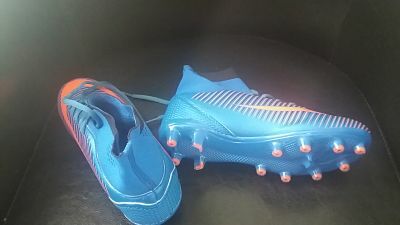 I bought these kids football boots for my daughter , she has just joined a football team so i wanted to get her something nice and trendy as she is only 11 these were perfect . 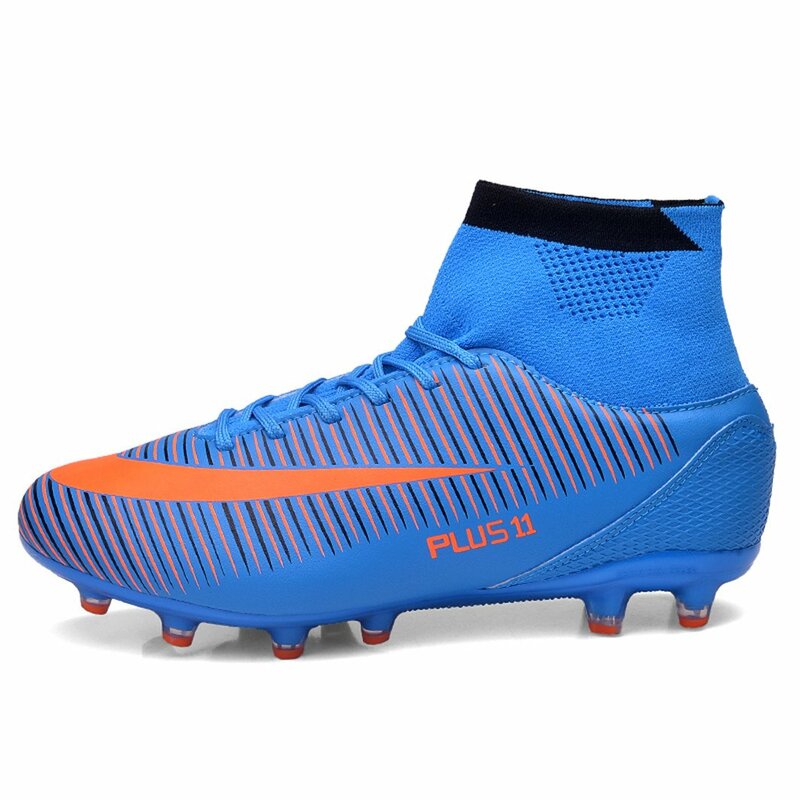 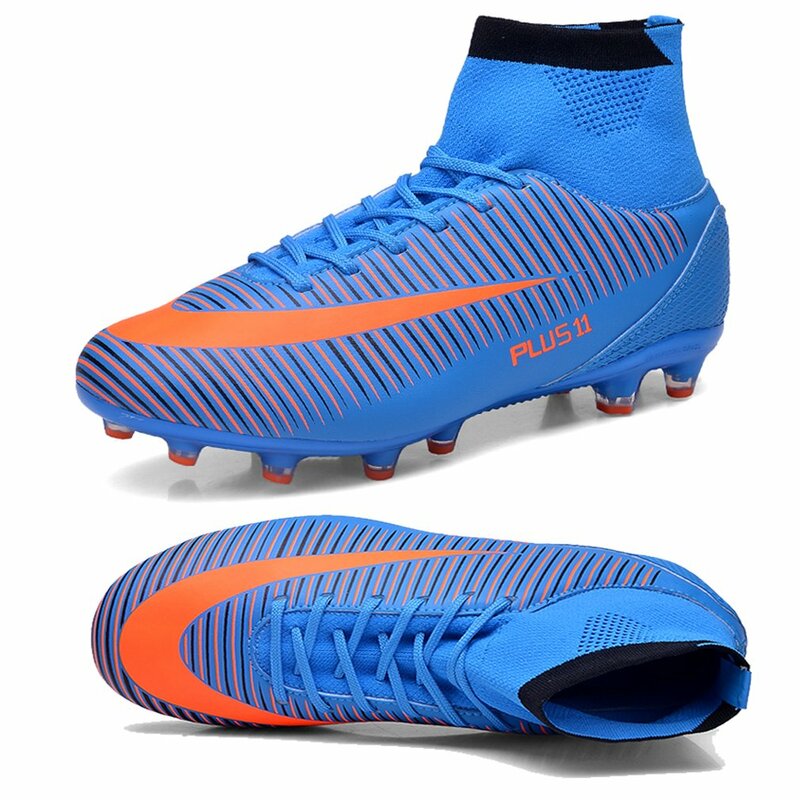 the boots are a lovely bright coloured blue with an orange stripe going around . 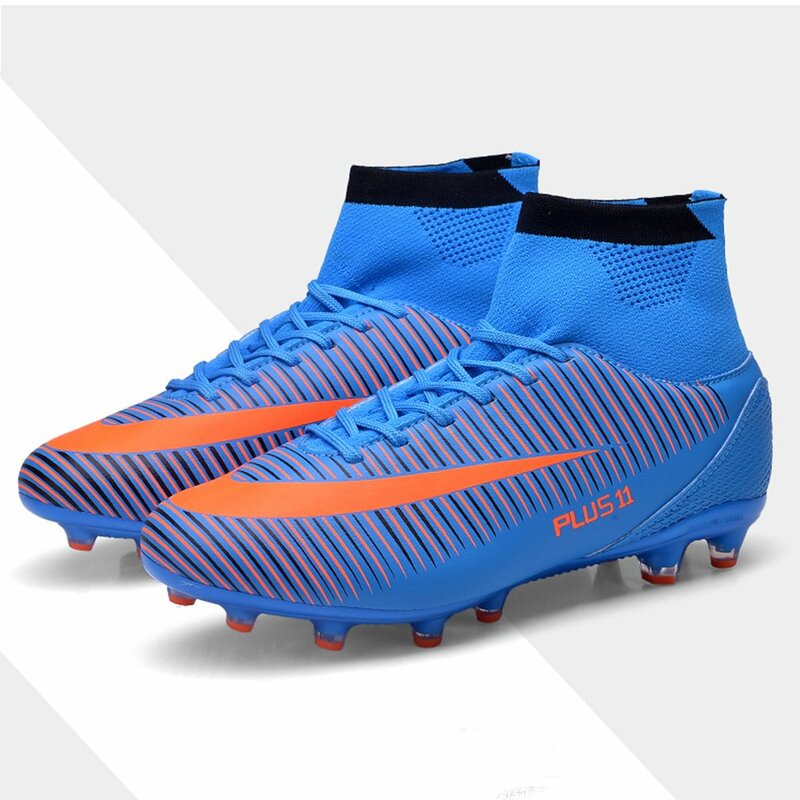 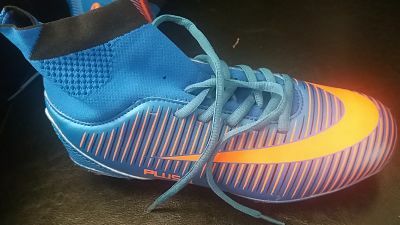 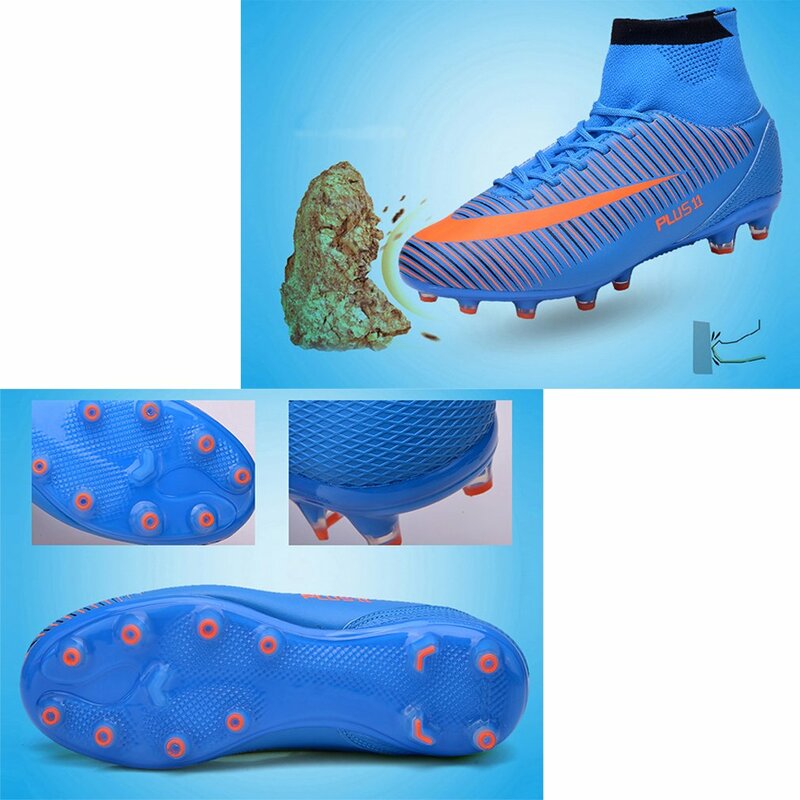 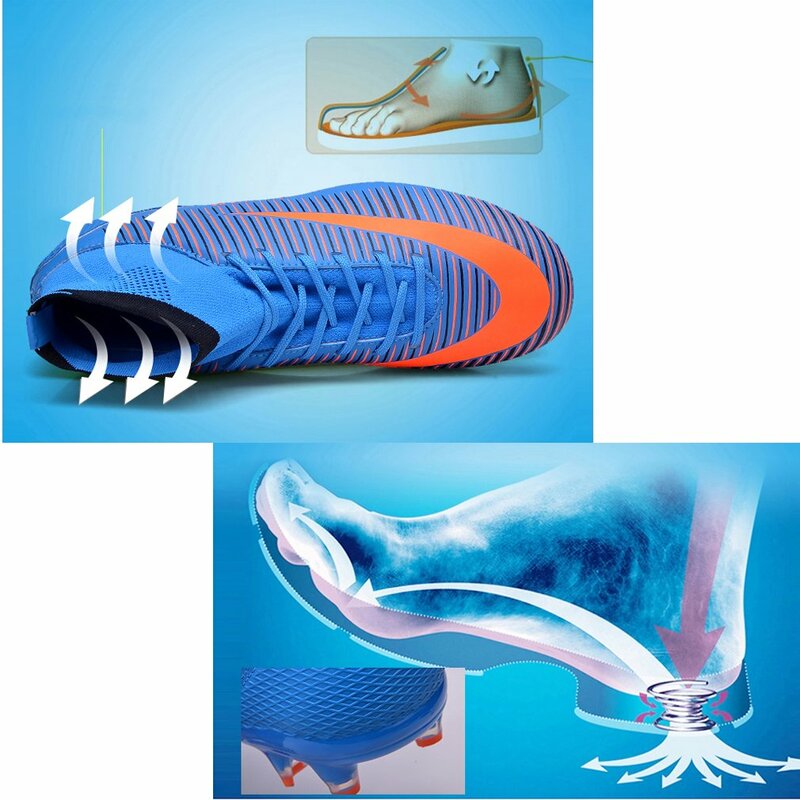 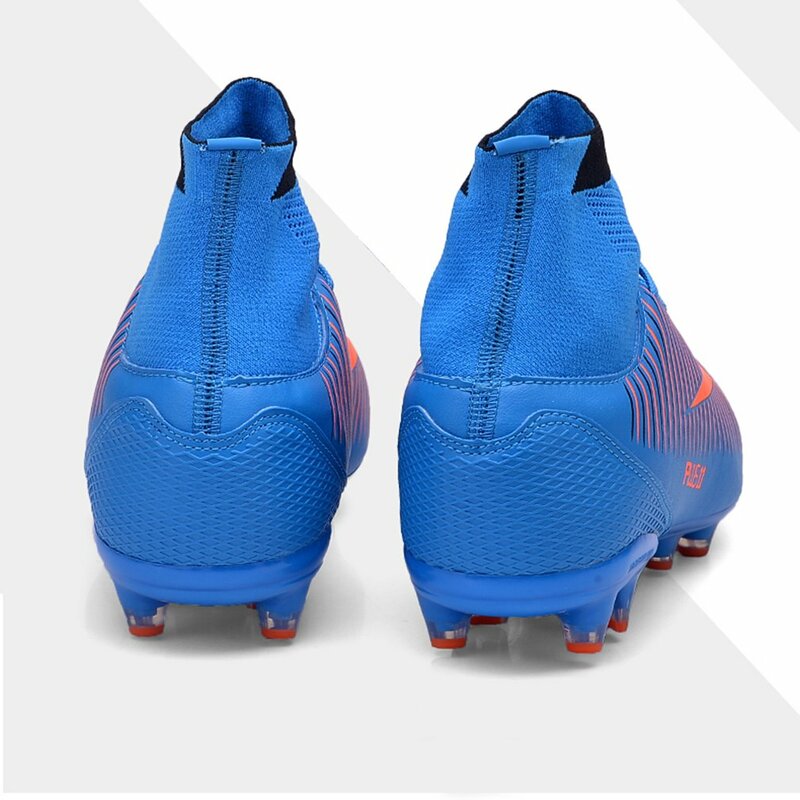 the top of the shoe has like a sock which will help protect her ankles but also this has plenty of room and fits over the football socks nicely .Again the sock is blue , its not a sock it part of the boot its an elastic cotton lining but loos like a sock . 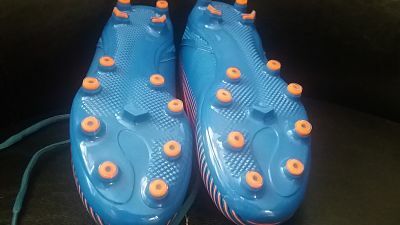 this is waterproof. 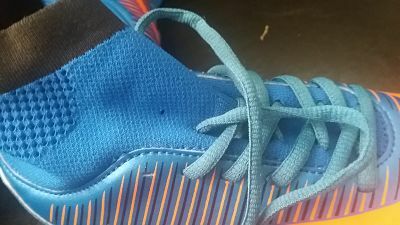 they are a lace up style shoe and the fit was perfect , they didnt feel tight and she felt really comfortable in them and ran off to try kicking a ball in them , which she did and it took me a while to get them back off her .